Jinzheng Eco-Technology Co. Ltd. - Newater Technology, Inc. 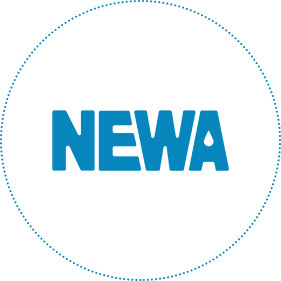 Founded in 2012, Newater technology Inc. (“NEWA”) is headquartered in Yantai, China, and operates its business through its wholly owned subsidiary Jinzheng Eco-Technology Co. Ltd. (“Jinzheng”). Jinzheng specializes in the development, manufacture, and sale of disk tube reverse osmosis (DTRO) and disk tube nanofiltration (DTNF) membrane modules for wastewater treatment, recycling, and discharge. Jinzheng provides integrated technical solutions in engineering support, equipment installation, technical consulting and services. Additionally, Jinzheng offers integrated technical solutions relating to projects that are specifically deigned to convert wastewater to valuable clean water. On July 28, 2017, Jinzheng was successfully listed on the Nasdaq stock market in the United States, with the symbol “NEWA.” Jinzheng is the first Nasdaq-listed Chinese company engaged in the field of special membranes. Jinzheng is one of China’s leading companies in the technology of DT special membrane modules. The company is committed to research and development (R&D). For instance, Jinzheng’s automatic production line for the manufacture of DT special membrane modules, which is scheduled to start production in October of 2018, solves the challenges of the large-scale production of membrane modules. Jinzheng, a key high-tech enterprise in Yantai city，China, has over 200 employees. Its industrial park, Jinzheng Industrial Park, covers an area of 49 mu (8.07 acres). Jinzheng has received the certificate of qualification of construction enterprises, obtained ISO9001 quality management system certification, and has been recognized by the local government as the Provincial Industrial Design Center, the Municipal Enterprise Technology Center and the Municipal Engineering Laboratory (Engineering Research Center). Jinzheng’s automatic production line, located in Jinzheng Industrial Park, is the place where Jinzheng’s membrane products are produced. High quality, sufficient quantity, and competitively priced DT special membrane modules are manufactured through the Jinzheng Industrial Park facility. Total investment of RMB 167.95 million Jinzheng environmental protection industrial park covers an area of 50 mu, with the construction area of 30624 square meters. Jinzheng was successfully listed on Nasdaq in the United States on July 28, 2017, with its stock symbol code NEWA, becoming the first Chinese membrane manufacture listed on Nasdaq.